Business Capital Funding - Cannot Obtain a Grant or Loan in UK? Business capital funding is a rather interesting way of financing your company. Usually business capital funding is used when you can’t obtain a grant or a loan. This is more similar to a loan than a grant and is often times called equity financing. It includes you making a proposal to investors asking them to invest money in your company in exchange for a certain percentage of your company. Often times there are negotiations involved, and sometimes businesses leave with nothing, but if you have a good business idea and an even better proposal, then chances are, you will come out with some business capital funding. When businesses are just starting it is more difficult to have an application accepted for loans and grants so they have had to turn to business capital funding. Of course to succeed they have to know, as you would, what their business is all about. If you go in as a beginner not knowing anything about the market, then they won’t generally invest. However, showing that you have done your research, that you know your business numbers, and that you understand your business operations completely then you will have an excellent chance. 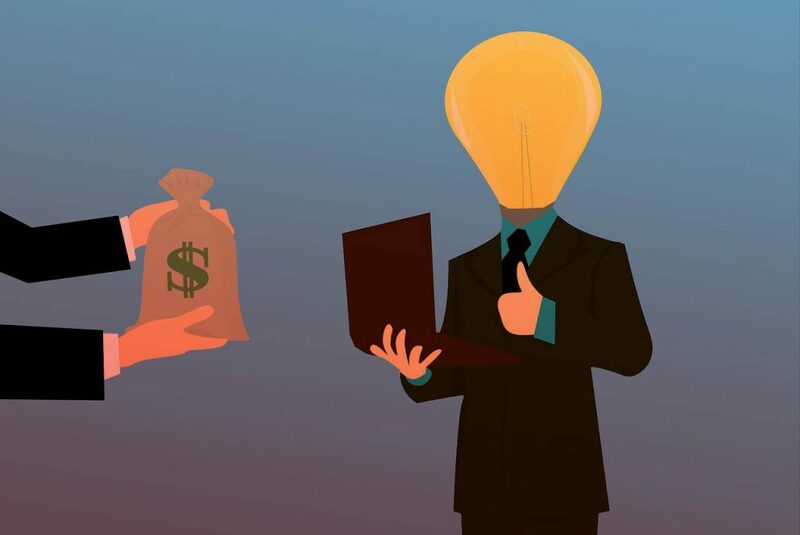 Often times when you are accepted for business capital funding from an investor who already has their own business, they will be able to offer expertise in the field and work with you, but those things will have to be decided in the agreement. Not all investors will want to take the time or give to the time of their staff to help you. Other investors will go over your business plan and develop marketing strategies with you. Beginning entrepreneurs if making a proposal for business capital funding should try to have an investor that will be able to spare the time or the staff to help you through. These are generally known as business angels. If you work with venture capitalists, you will be usually getting the money without the guidance. You will benefit greatly from both but especially the angels. Of course, it may be in the investor’s best interest that they do give guidance because in effect, the amount of profit that you take in will make their percentage of the company worth more. There are advantages and disadvantages to both the business angels and venture capitalists when requesting business capital funding. A business angel aside from giving their own skills will often make their decision quickly without the long process of analysing documents. You will still have to present your business well and have the numbers ready to present but they do not pore over the details. Venture capitalists on the other hand will go into every document and will require a very detailed business plan before considering giving you business capital funding. With these investors however, there is a higher chance of receiving funding from other sources at a later date. Receiving business capital funding from a venture capitalist always looks good to other lenders. Also since these people generally make a portion of their living from these investments, they are looking for opportunities more regularly, whereas business angels most times do not invest regularly, thus business capital funding may be more difficult to find from them. If you are not sure where to find these investors, you can go through various financial institutes such as CMR. They have hundreds of investors working with them and they will find you a good match and will help you to prepare your proposal for business capital funding. There is also a government funded program through the ‘Real Help’ initiative. It has 75 million pounds in its equity fund which is comprised of two parts from the government and the other one from major banks across the UK. This business capital funding is generally given to those businesses that have used up all other traditional forms of funding as a longer term investment. This program is called the Capital for Enterprise Fund. Another similar program, the Enterprise Investment Scheme is made for giving business capital funding to smaller businesses that are included in the list of qualifying trades. There are certain qualifications to meet in order to apply for this business capital funding which you can find at the HM Revenue and Customs website. You will also find various pieces of tax information pertaining to business capital funding from this program. There is one organization that is called c2Ventures that is part of the British Business Angel Association that will help you to find business capital funding from business angels who will also offer you their expertise and support. There are specific requirements to be able to apply for this business capital funding. Your business must be valued at between 100,000 and 2,000,000 pounds. You also must have a business plan, have either a strong management team or one that is nearly complete, and you also must work with specific technology sectors. For more information on these items, you can visit their website at www.c2ventures.com. Before checking into this site, you should not spend your time there if your business has not started up yet. Another option is General Capital Venture Finance which offers business capital funding for small and medium sized businesses that are starting out or are trying to expand. You business must be valued between 100,000 and 750,000 pounds to be considered, and you have to have a viable business plan and a strong management team already put into place. These business capital funding can be used for a variety of reasons including development, management buy outs or buy ins, situations that involve turnarounds, and acquisition assistance. For more information on this organisation you can visit them at www.generalcapital.co.uk. Business capital funding is a good way to obtain funding despite the amount of preparation that goes into it. All of the documents that need to be prepared or all of the research that goes into it will only benefit you in the end. Be sure to know all of your business details and even seek counselling before meeting the investor to make your proposal for business capital funding the best you can make it.